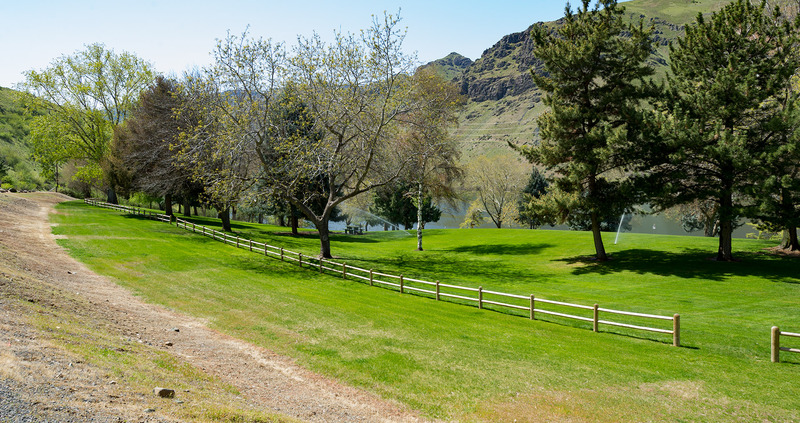 Hells Canyon Park is on the Idaho side of Hells Canyon Reservoir, six miles downstream from Copperfield Park. We allow camping using tents or RVs in developed campgrounds or undeveloped areas near the reservoir. All campsites can be reserved online. Stays are limited to 14 consecutive days. Campsites can be reserved year-round. You can make reservations up to nine months in advance. If you require assistance or accommodation to make a reservation, please call 1-844-472-7275. A convenience fee of $5 will be charged to make reservations by telephone, in addition to the standard $10 reservation fee. See our Frequently Asked Questions about reserving campsites. Fees are collected for overnight camping. Obey all campground rules and keep motorized vehicles within the posted speed limit. Day use in all parks is free. Fees are charged for overnight camping, or to reserve picnic shelters where reservations are allowed. Fees are consistent with fees charged at other campgrounds with similar services in the area. Fees are posted and collected for each park. Idaho Power offers reduced camping fees to service-disabled veterans and campers over age 60. For veterans with any level of service-related disability, overnight camping fees are lowered by 50 percent. Seniors receive $2 off summer rates and $1 off winter rates. No combined discounts. Summer Camping Fees (April-October). Taxes not included in the fees shown below. Tent campers occupying a designated RV space will be charged the normal $16 nightly fee for an RV space. A maximum number of three tents may be set up in an RV space at one time, if there is enough room. Winter Camping Fees (November through March). Taxes not included in the fees shown below. Call to check the status of the road between Oxbow and Hells Canyon Dam. This road is sometimes closed due to maintenance or road conditions. Recorded updates are available at 541-785-7251. The Snake River likely got its name from the first white explorers who misinterpreted the hand gesture made by the Shoshone people who identified themselves in sign language by moving the hand in a swimming motion. This sign, which appeared to explorers to be a snake, signified they lived near the river with many fish. In the 1950’s the name “Hells Canyon” was borrowed from Hells Canyon Creek, which enters the river near what is now Hells Canyon Dam.